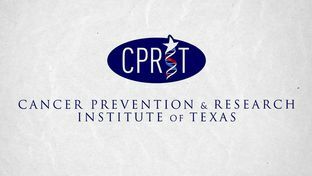 The Cancer Prevention and Research Institute of Texas (CPRIT) has granted a $6.6 million award to support research and product development at the Cancer Therapy & Research Center (CTRC) at The University of Texas Health Science Center at San Antonio. 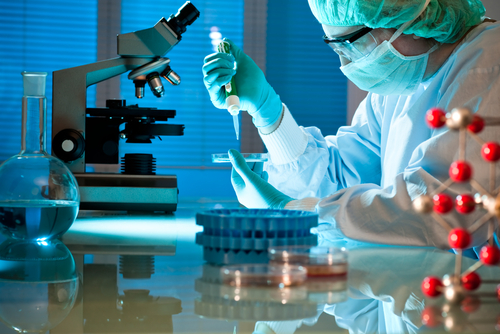 The grants were attributed to projects dedicated to studying brain cancer, Ewing’s Sarcoma, lymphoma, prostate cancer as well as the side effects of chemotherapy. The state-funded institution is awarding CTRC researchers with a $2 million grant to support product development as well as four individual research projects who will receive a total of $4.6 million in grants. The product development grant was given to NanoTx Therapeutics, a company developing a promising therapy for the treatment of brain cancer. “This will help us transition from an academic research project to a viable treatment option available to help brain tumor patients across the country,” said the neuro-oncologist at the CTRC leading the clinical trial, Andrew Brenner, MD, PhD. The grant is meant to support the expensive process of drug development being undertaken by the company for its brain cancer treatment. The technology, which will be evaluated within the first clinical trials during the next few weeks, was created by a research team from UTHSCSA, including nuclear medicine physician William T. Phillips, MD, and biochemist Beth A. Goins, Ph.D., from the Department of Radiology, as well as medical physicist and pharmaceutical chemist formerly from the Department of Otolaryngology Ande Bao, PhD. In addition to the product development grant, associate professor of cellular and structural biology Alexander Bishop was also awarded a 4-year $2 million grant to support his research on Ewing’s Sarcoma, a rare type of bone or soft tissue cancer that specifically affects children and teenagers. The research team led by Bishop is focused on the alterations that occur during the development of the disease and has already found a defect within homologous recombination, a cellular DNA repair process. Associate professor of medicine and biochemistry Ricardo Aguiar, MD, PhD, was awarded a $900,000 3-year grant for the development of a lymphoma drug treatment. The grant will be invested in pre-clinical studies and first-in-human clinical trials to be conducted at the CTRC in collaboration with the director of the Institute for Drug Development at the CTRC, Steven Weitman, MD, PhD. Current drugs to fight lymphomas are inhibitors of the B cell receptor (BCR), responsible for the growth and survival of tumor cells. Despite BCR’s efficacy, cancer cells often become resistant to these drugs after a period of time. Dr. Aguiar’s team will study a third enzyme combined with two typical BCR-related enzymes to increase treatment outcomes and decrease drug resistance. Research focused on the benefits of resveratrol use to prevent prostate cancer was the impetus for professor A. Pratap Kumar‘s grant, which included a 3-year, $900,000 award. The researcher believes that the natural compound present in red grapes, red wine, nuts and berries may help men decrease the risk of developing the disease. “Interestingly, population-based studies have demonstrated significantly decreased risk of prostate cancer in men consuming red wine,” explained Dr. Kumar. Professor of physiology James D. Stockand, PhD, has also been awarded a 3-year, $844,000 grant to conduct studies on methods to reduce side effects from chemotherapy. The team led by Stockand aims to increase knowledge on the causes underlying painful damage provoked in nerve cells by anticancer drugs, called peripheral neuropathy. “We hope to better understand and be able to counter these side effects to increase the effectiveness of key antitumor drugs,” said Dr. Stockand, who will be working in collaboration with the associate professor of physiology, Benjamin Eaton, PhD, and with the professor and chairman of endodontics in the School of Dentistry, Kenneth M. Hargreaves, DDS, PhD.